Do you have sensitive teeth, receding gums or bleeding gums? The PeriClean® Toothbrush can help! It was created by a Periodontist to help people overcome their tooth and gum problems. Try the Dentist recommended PeriClean® and you’ll never go back to a regular toothbrush again! In this dental health video Dr. Jack Gruber D.D.S explains how to avoid Gum Disease and Receding Gums by using the proper dental cleaning tools and brushing techniques. The Periclean is an ultra soft toothbrush that is ideal in fighting Gum Disease and Receding Gums. One of the leading causes of dentin hypersensitivity (sensitive teeth) is gingival recession. Gingival recession can be caused by many factors, but the two main causes typically have to do with anatomic factors or oral hygiene habits. While gingival recession is easily preventable, it can also very easily occur, even to the most oral-hygiene-attentive patients. To learn more, click here. Over the years, the history and causes of dentin hypersensitivity have been thoroughly researched. It has been found that dentin hypersensitivity is frequently found in those with periodontal disease. The factors that can lead to dentin hypersensitivity include loss of enamel and cracked teeth – occurrences that wear down the tooth and expose dentin, therefore making it more susceptible to sensitivity. To learn more about the history and causes of dentin hypersensitivity, click here. 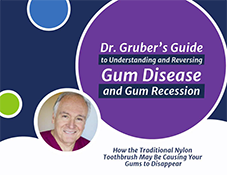 Dr. Jack Gruber DDS discusses his invention – the revolutionary PeriClean Ultra Soft Toothbrush for receding gums and sensitive teeth. 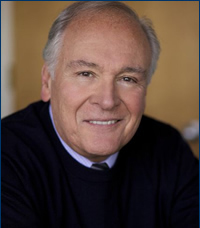 Dr. Gruber discusses how he uses the PeriClean with his patients, what it feels like and how many of his patients have avoided gum surgery by using it. If you have been informed that you are developing receding gums, it is going to be crucial that you take another look at the way that you have been approaching all of your dental care needs. 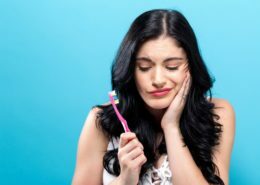 Sometimes, all it takes is the right toothbrush for receding gums and you are going to notice a huge difference in the way that your teeth and gums look and feel. PeriClean® has been perfecting a specialty toothbrush that will be the last one you will ever need to give you the ultimate in dental care. PeriClean® toothbrush options are going to help you to get that all-over clean feeling in your mouth while working to alleviate the problem of receding gums. Whether you have strong sensitivities of your teeth and your gums or you are dealing with other periodontal issues, this specialty toothbrush for receding gums is crafted to gently work around your teeth and gums. Once you have the chance to use it, you are never going to want to switch back to a conventional toothbrush. The wonderful thing about shopping for your next new toothbrush with PeriClean® is that you have options that allow you to pick out the right one to suit your needs. Even if you are looking to buy a toothbrush for your child, there is the PeriKids® toothbrush that is specially made for kids that are 12 and under. These toothbrushes are all very lightweight, yet strong enough to stand up to regular brushings that your mouth needs to stay healthy. Overall, this product made right in the USA is perfect toothbrush for receding gums, sensitivities, and any other mouth condition that you may be suffering from. Get in touch with PeriClean® today by filling out the online contact form and you will be able to receive more information about the full line of toothbrushes. This is truly the best way to fight periodontal issues and help to keep your teeth and gums healthy and strong so that you can enjoy a healthy, strong smile. People everywhere are looking for the best way to get an incredibly clean mouth to create a healthy smile. If you happen to have sensitive teeth, it is going to be important that you use an ultra-soft toothbrush that will be gentle on your teeth and gums, yet strong enough to get the deep clean you are looking for. This is where the PeriClean® toothbrush gives you everything that you need in a toothbrush for the ultimate clean even if you have sensitivities to worry about. This is a specialty toothbrush that is going to help to navigate your sensitive teeth while working on any other periodontal problems that you may have. Additionally, this ultra-soft toothbrush works to protect and preserve your precious tooth enamel while still helping to get your teeth as white as possible. A true breakthrough in dental health care, the PeriClean® is a must have for anyone who is concerned about their overall mouth health. The PeriClean® toothbrush is manufactured right in the USA and it is constructed of materials that are approved by the FDA. The high-tech rubber bristles are just right for getting in and around the teeth and gums in a safe and gentle manner that will never cause unnecessary damage to either your enamel or your sensitive gum tissue. This toothbrush is also completely BPA-free and lightweight, which makes it extremely easy to use. Designed for children over the age of 12 and adults, this is the perfect addition to your regular dental care routine. If you are tired of using traditional toothbrushes that just don’t seem to get the job done, you will find that the PeriClean® ultra-soft toothbrush will be the last toothbrush design that you will ever want to use. Fill out the contact form today to learn more about the PeriClean® way of achieving ultimate oral health. Your teeth and gums will be sure to thank you for it and you will end up with a smile you can be proud to show off. 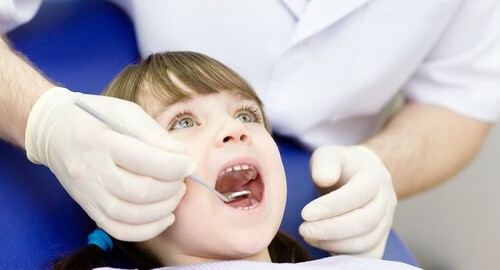 Did you know the most common type of gum disease in children and adolescents is chronic gingivitis? Chronic gingivitis is an inflammation or infection of the gums that can be recognized by swelling, bleeding while brushing, a change in gum color from pink to red and chronic bad breath. While this type of gingivitis is the most common type among children, it is, fortunately, the least severe. However, when left untreated, it can turn into more severe forms of gum disease, periodontitis. When you have periodontitis, gums become weak and form pockets around the base of your teeth. These pockets attract bacteria, which only further damages the gums. Damage can spread as far as the jawbone, causing teeth to become loose or even fall out. Gum disease, usually caused by plaque buildup, also affects teens, not only older adults. In fact, gum disease is the biggest reason — not old age — people in the U.S. lose their teeth. Teens are put at a higher risk because hormonal changes make them more vulnerable to periodontal disease. Since gum disease many times causes little to no pain or irritation, knowing the signs and symptoms of gum disease will help detect it sooner in order to treat it effectively. 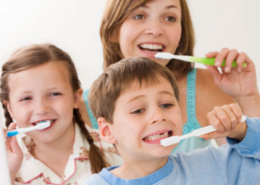 How can I help my kids avoid gum disease? 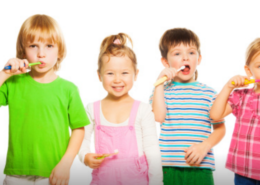 It’s important to instill good brushing and flossing habits in children at a young age before they reach their teenage years. Additionally a healthy diet that limits the amount of candy and sugars children eat on a daily basis can help prevent the build-up of plaque. According to the American Dental Association, it only takes 24 hours for enough bacteria to form in the mouth to start causing gum disease. With regular brushing and flossing and visits to the dentist, chronic gingivitis can be banished for good. Three out of 4 Americans suffer from some form of gum disease, according to the American Academy of Periodontology, yet only about 3 percent get treatment, which can be attributed to the general public’s misconceptions of gum disease. 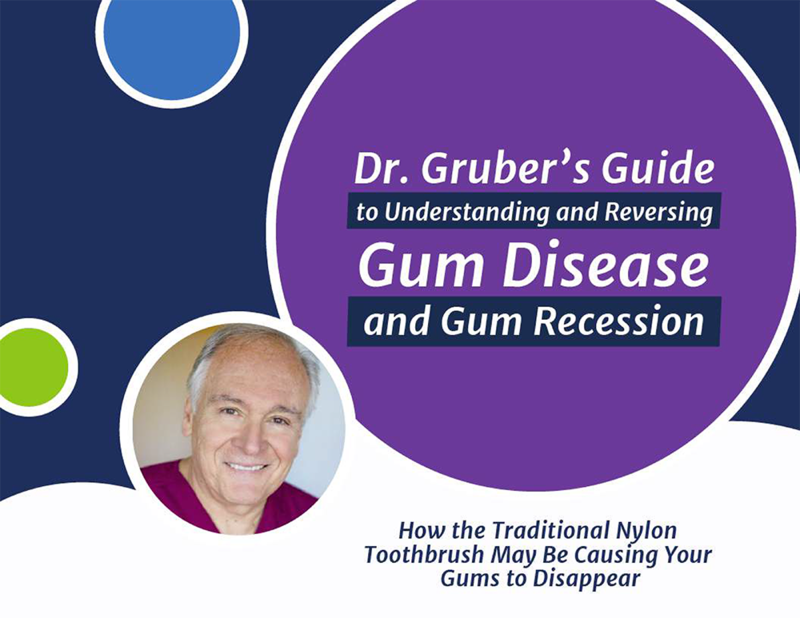 Here, we dispel seven common myths of gum disease and how its treated. Gum disease, or periodontal disease, is an infection of the tissues that surround and support your teeth that is caused by plaque. It ranges from simple gum inflammation to serious symptoms that result in major damage to soft tissue and bone that support the teeth. Treatment of gum disease involves controlling the infection and in worst cases, may involve the removal of teeth. Gum Disease Myth #1: I brush and floss my teeth regularly, so I can’t get gum disease. Fact: Though good oral health care certainly helps remove tartar and plaque, which contributes to gum disease, other factors like stress, a poor diet and even genetics all influence the health of your gums. Gum Disease Myth #2: I don’t have any cavities, so I can’t have gum disease. Fact: Having no cavities is a great and means you probably have good oral hygiene. But, unfortunately, this is no indicator of healthy gums. Gum disease is painless, so many people do not realize they have it until its advanced stages, which is why it is recommended to visit the dentist regularly. When caught early, gingivitis can be typically eliminated by a professional cleaning at the dentist office. Fact: Patients diagnosed with gum disease are given strict instructions by their dentist, including brushing teeth twice a day, eating a healthy diet, and scheduling regular visits to the dentist, to help keep gum disease under control, so no teeth will be lost. Gum Disease Myth #4: Everyone has bad breath, but it doesn’t mean they have gum disease. Fact: If you find yourself constantly using mouthwash to rid of bad breath or chewing gum to freshen your breath, it might be a good idea to schedule an appointment with your dentist to help you detect the root of the problem. Persistent bad breath, along with red or tender gums, can be a signs of gum disease. Gum Disease Myth #5: Bleeding gums are not that big of a deal. Fact: Your gums should not bleed brushing, flossing, or even eating certain foods. Red, swollen or bleeding gums is one of the major signs of periodontal disease, and early detection will allow your dentist to create an effective treatment plan. Studies have also shown that gum disease contributes to heart disease and diabetes, which is another reason to determine if you have gum disease sooner rather than later. Gum Disease Myth #6: Gum disease is not that common, so it probably won’t affect me. Fact: Half of adults ages 30 and older suffer from some form of gum disease, according to the Centers for Disease Control. Plaque buildup can happen to anyone. Daily brushing and flossing can prevent plaque from hardening into tartar and ultimately help prevent infections.